3. What are the types of organization? 3. Clear area of authority: In organization people must know the extent of authority that they have. in nature should be identified separately. 2) Grouping of activities to achieve objectives: Similar activities should be grouped. Coordination means the interrelationship among activities. positions. 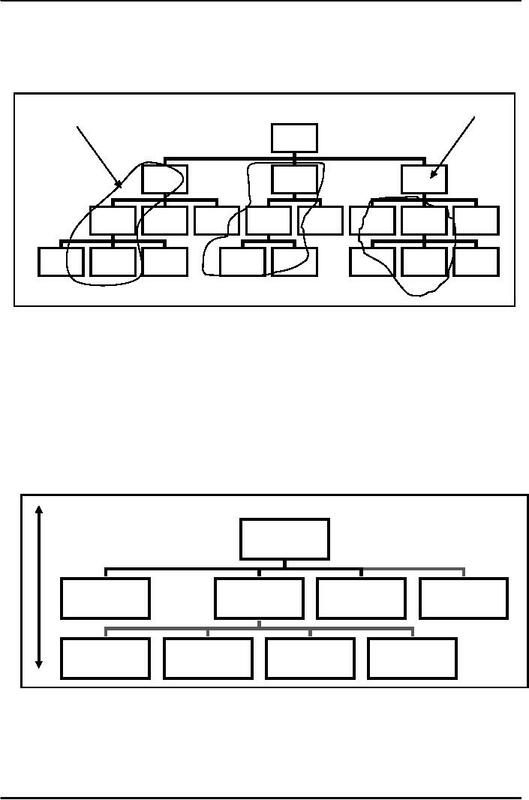 Here we refer to organization as a structure in which people work. E.g., school is organization. hospitals, schools, Water and Power Development authority (WAPDA). of informal organization is friendship within the organization amongst people working at various levels. manager can effectively supervise are between 7 and 10. But this is a not a principle. While span refers to number of people a person can supervise organizational level refers to "ties"
figure-1 the organizational level are shown by numbers 1, 2, 3 and 4.
require, and therefore, the manager can supervise more employees. more employees can be brought under supervision. or branch of organization over which manager has authority for performance of specified activities. relationship. This is shown in figure1 in irregular line. is the number of people a manager can supervise.